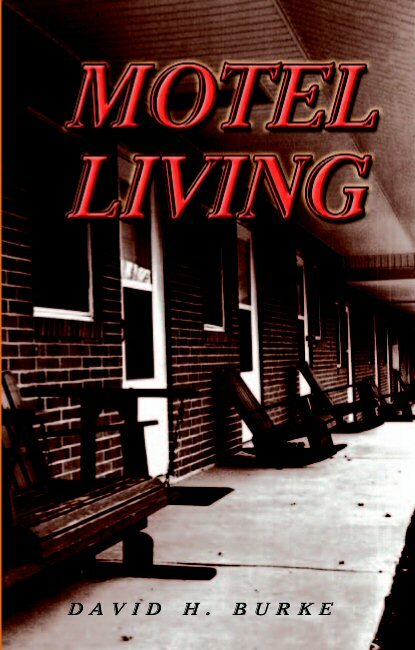 MOTEL LIVING is about a 37 year old man, Derick James, who hates his life. His efforts to improve his world, however, are never enough. He eventually feels there's only one escape available in order to leave behind a domineering wife, a task master boss as well as some religious fanatics who are issuing death threats because of his newspaper column. Not surprisingly, Derick's plan to fake his death goes astray. He winds up floating into the Atlantic Ocean, where his dark night of the soul mystically transforms him. Taking back his power, he confronts those who had been keeping him from enjoying his life. Will Derick finally become a winner? What more can you say about a fiction which calls George Washington a pot-head, Jesus a celestial politician paying lip service to his responsibilitites as a deity and life on Earth merely a television show for the amusement of God? To order, go to www.xlibris.com/bookstore and type in Motel Living within the Title Box.